St Cadoc’s was built in 1906, and was architect Alfred J. Wood’s second asylum project, following St Luke’s in Middlesbrough. 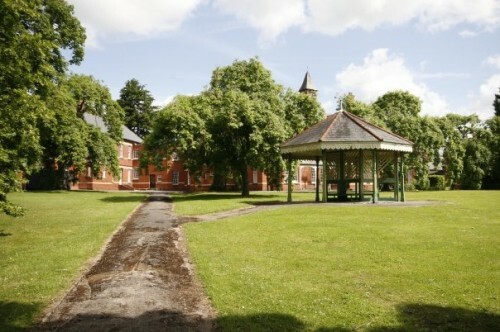 Wood had worked with CH Howell on St Lukes, and St Cadoc’s was therefore his first complete asylum project. As you might imagine, the place was spotless. From the beautiful mosaiced floor, to the plaque commemorating the first Superintendant’s 24 years at the Hospital, it was pristeen. Reception was closed, for the weekend I imagine, and as such, we were not questioned on entry. 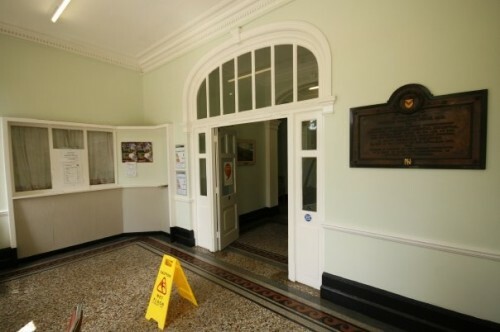 The plaque on the right signified the first superintendant’s service to the hospital over 24 years. I doubt this area would have changed much at all over the hospital’s 102 years of existence. 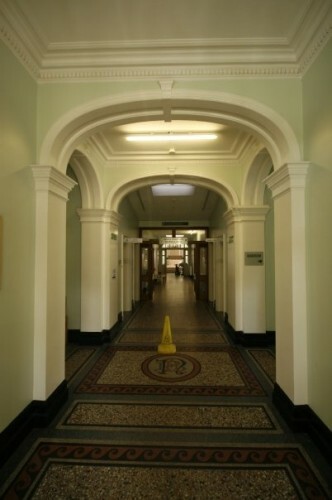 The Corridor below lead directly to the Main Hall. Upon leaving the hall we chose to go left, for no particular reason. The hallways were familiar, bar the peeling paint and lonely chairs usually found in derelict asylums. 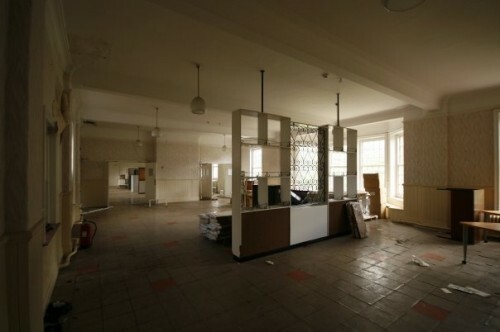 Having passed a staff canteen and various administrative rooms, we found some empty wards. 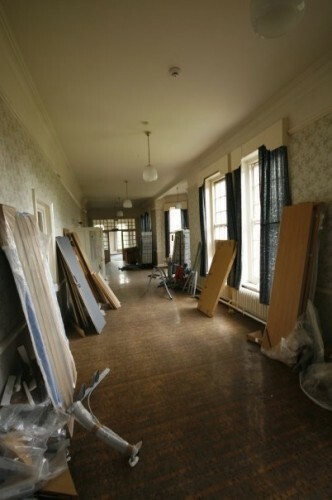 Although the wards we found were pretty empty and uninteresting, there were some interesting similarities and comparisons to be made with derelict asylums we’d visited, of a similar age. 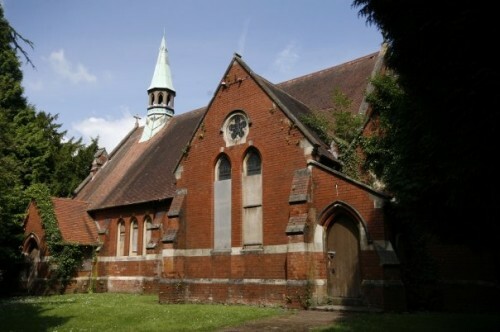 It appeared that the NHS uniformed the decoration, fixtures and fittings of it’s mental hospitals throughout the country as they redeveloped them over the years – St Mary’s in Stannington, Fairmile in Cholsey, and Hellingly in East Sussex were asylums that we all felt shared similarities with St Cadocs, across various areas. We ventured down and out of the ward, having not seen anything hugely interesting. It was more the exploration and not knowing what we’d find that excited us most. No laid out dayrooms, wards with beds in situ, or any sign of past usage. We found ourselves by the admin block again, having traversed the closed wards on the old male side. The female side housed a few live wards, it seemed that our decision to go right out of the main hall was the correct one in terms of remaining discreet. We had been advised not to take any photographs of patients if we came across them, although I suspect that our presence near the live wards would have got us noticed and ejected. 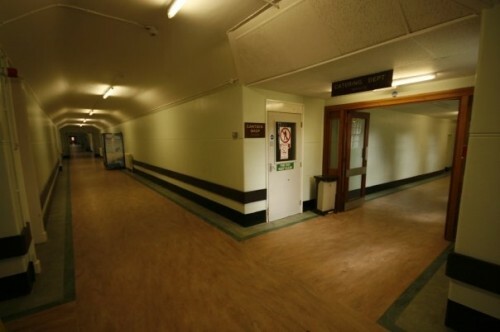 There were several people in the corridors by now, not just the cleaners we passed on the way in, and with three people bearing SLRs and not looking like they should particularly be there, we made an executive decision to depart and look for the mortuary and Chapel. 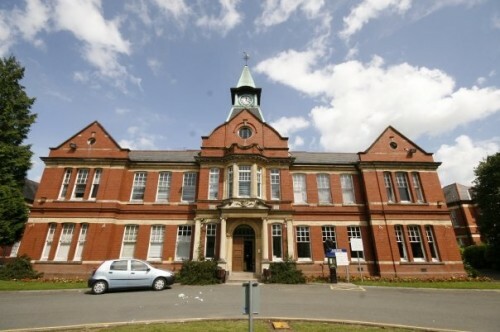 Cadoc’s exterior was in an attractive redbrick, Edwardian style. Airing courts were spacious and not taken for car parking or additional, (more modern) structures, although I suspect that this may be in part due to the surplus of land In the area. The shelters were still there, unlike many asylums that have since found them derelict. It appeared to us that Mental Health care in Wales was a few years behind England and Scotland, and despite Care in the Community, still had several institutions catering for the needs of the populace. Some might argue that that is the right thing? The Chapel looked long boarded. Religion had decreased in importance and attendances across the country had suffered. It wouldn’t surprise me if services were held in a room in the main complex, or the chaplain offered his services in the wards. This was indeed the plan when Cane Hill was turned into a ‘mini-institution’ for the last 6 months of it’s life. 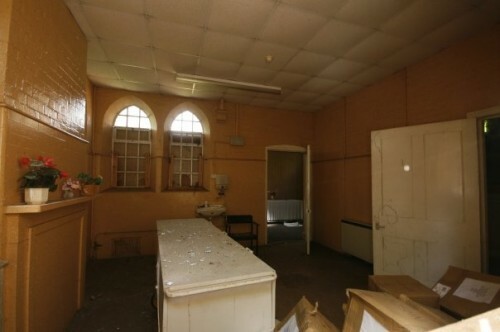 We went to the back of the site and found the mortuary, which was sealed bar a small broken window, large enough however to poke the camera through to see what I assume was a chapel of rest, complete with plastic flowers. There would have been a preparation room off to the left. Although St Cadoc’s stripped wards and dayrooms didn’t offer too much in terms of seeing how things used to be, it did offer an insight into the condition of the buildings today, and how some of the asylums we were more familiar with might have looked in the past. Subscribe to comments with RSS or TrackBack to 'St Cadoc’s Mental Hospital'. 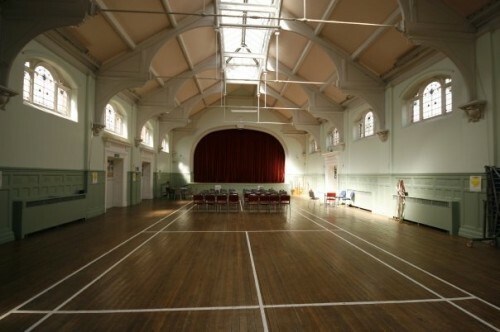 although i spent many thursday afternoons in the grounds of st cadocs as a child this is the first time i have ever seen anything of the inside! i have cried. my grandmother was a patient here from about 1928 until she died in the 1960s, and the dreadful thing is that she probably was only suffering from post natal depression when she was admitted, and my 14 year old mother had to fight for her to keep any dignity, ie. her corsets! As a young pregnant teenager, my mother had me admitted in order for me to receive a termination. I can remember being placed on a large ward with women of varying ages. The nights were awful with lots of noise with women restless and some screaming. I can remember being prepared for theatre and wasn’t sure why I was going. I had done nurse training at a London Teaching Hospital and was aware that I should resist any procedure that could hurt me or my unborn child. I can recall being given nightly sedatives which hid, but I am sure I was sedated as I was lethargic for a lot of the time. I was only in 3 or 4 weeks as my father insisted I return home. Vague and scary memories remain with me when I think of my time there.